The melt pump is installed after the extruder as a discharging mechanism. 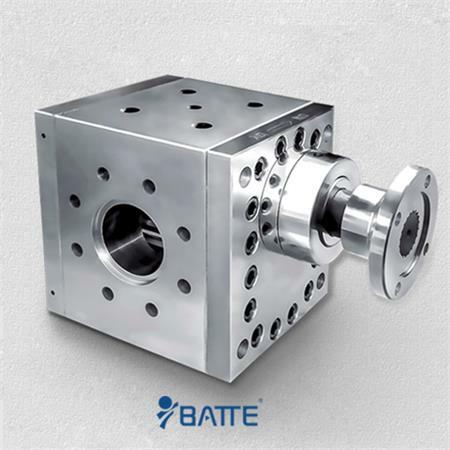 It can reduce the pressure variation and fluctuation, increase the output and reduce the flow rate fluctuation, reduce the work of the extruder to establish pressure and improve product quality. 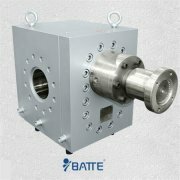 During the operation of the melt pump, the material in the recirculation passage will be carbonized at high temperature, and then the flow passage will be blocked, resulting in poor lubrication between the bearing and the gear shaft. In serious cases, the metal lock will occur, and the bearing and gear shaft will be damaged. The system will be forced to stop for overhaul, which will affect the production efficiency. In order to increase the pressure and eliminate the high temperature carbonization caused by pressure drop, the rotational speed of the melt gear pump will be increased. 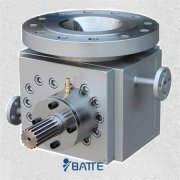 When the rotational speed of the melt pump is too high, the disadvantage is that a large amount of energy is consumed in the four clearances between the pump and the gear, resulting in the decrease of pump efficiency. 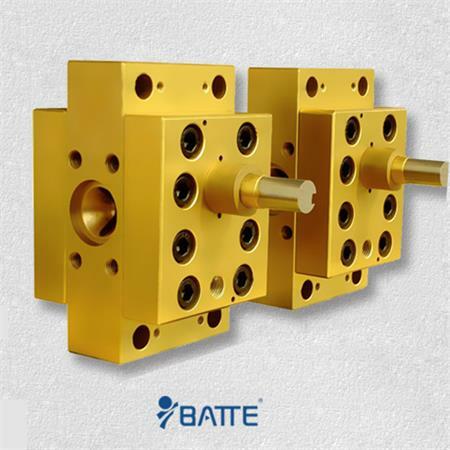 Because the gear of the melt gear pump rotates at high speed, the melt in four clearances is heated by intense shearing, which makes the melt temperature rise sharply and affects the normal operation of the gear pump. The actual production and operation show that the temperature rise of melt is linear with the gear speed, and the heat output is proportional to the (n + l) power of the gear speed. Therefore, it is necessary to avoid the pump running for a long time at excessive high speed.